There are a lot of people today who are looking for a direction in their career. If you are young and if you love swimming, it is a good idea that you go for a lifeguard position. Being a lifeguard can be a good thing. There are a number of benefits that it can do. Here are some of the things why you should consider becoming one. 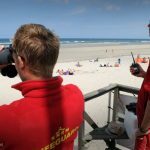 There are plenty of jobs available if you want to become a lifeguard. The truth is that there are a lot of opportunities waiting for you. You can easily get a job at your local pool or you can also get hired as a lifeguard by a resort. You can get different opportunities considering the fact that there are a lot of people who don’t know how to swim and who could easily need your help. You can even work as a PE teacher or a swimming teacher at a school and be a lifeguard at the same time. Another reason why you should become a lifeguard is the fact that you can save a lot of people’s lives. This means that you can easily have the satisfaction that you saved a person’s life from drowning. Could you imagine a child without a lifeguard? You could easily feel good by keeping everyone safe especially those people who don’t really know how to swim. Lifeguard training classes are available in all 50 states. Lifeguard a lifeguard certification class near you. A lot of lifeguards are good swimmers. In fact, there are those lifeguards who enjoy the water and are willing to do things for free. If you are going to be a lifeguard, you can easily get to enjoy the water every now and then. This means that you can also stay fit and do your regular workouts. And once a lot of people are present in the water, you can now go to your station. How many times should you be rescuing a child or someone who is drowning? In reality, you are not always going to encounter these things. You can simply just watch people and remind them to behave properly while they are in the pool. In reality, this is a stress-free job. 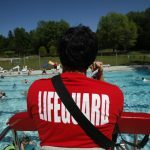 In addition to this, a lot of lifeguards don’t do it full-time. There are those who are just doing it for a couple of hours. This means that it is the perfect job opportunity especially if you just want to earn some extra cash. However, there are also those companies that will need to hire a lifeguard on a full-time basis. As a lifeguard, you will be able to learn a lot of things. For instance, though you swim good, a lot of lifeguards don’t know how to rescue a person out of the water when they started. Also, a lot of them don’t know how to perform CPR. 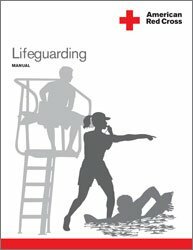 These are some of the basics that you will be doing if you are going to be a lifeguard. Your employer will most likely pay for your training to become one. We also can help you find a lifeguard class near me. You can get more information about lifeguard training classes by visiting one of our other sites.